The other day I was given a wonderful surprise by my friend Mimi. The shopping bag I had seen someone with earlier, was it Mimi? And of course I coveted it. 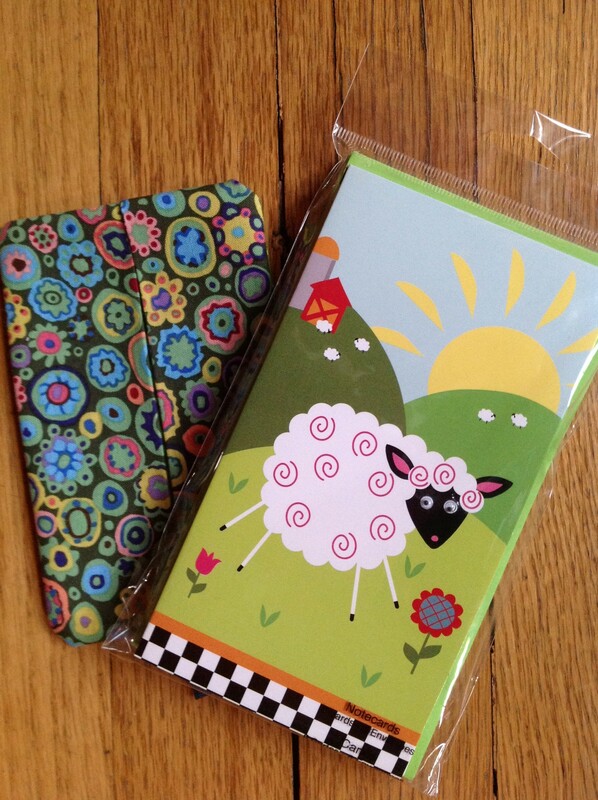 Love the cards, who can resist googly-eyed sheep, they will be reserved for that special note to that special knitter. 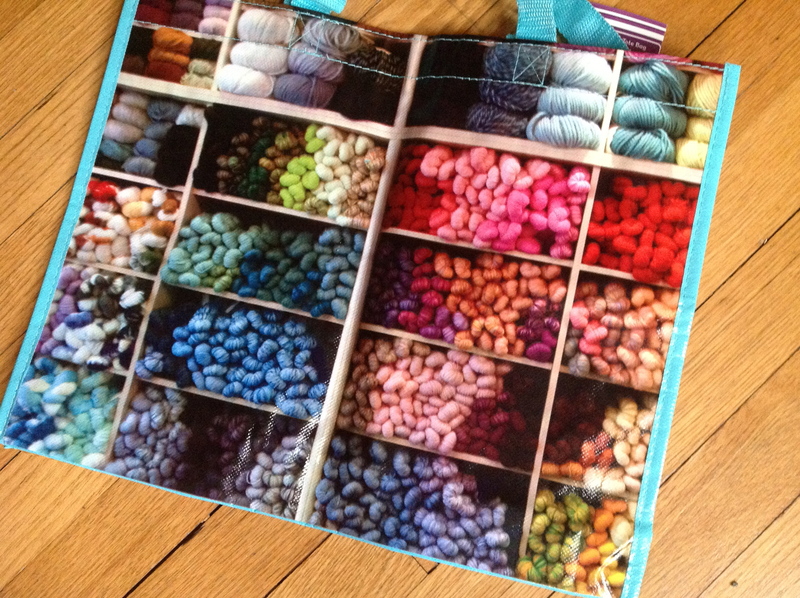 And the little pouch that Mimi sewed. Thanks! On the knitting front I am 2 months behind in my CookieA sock knitting. 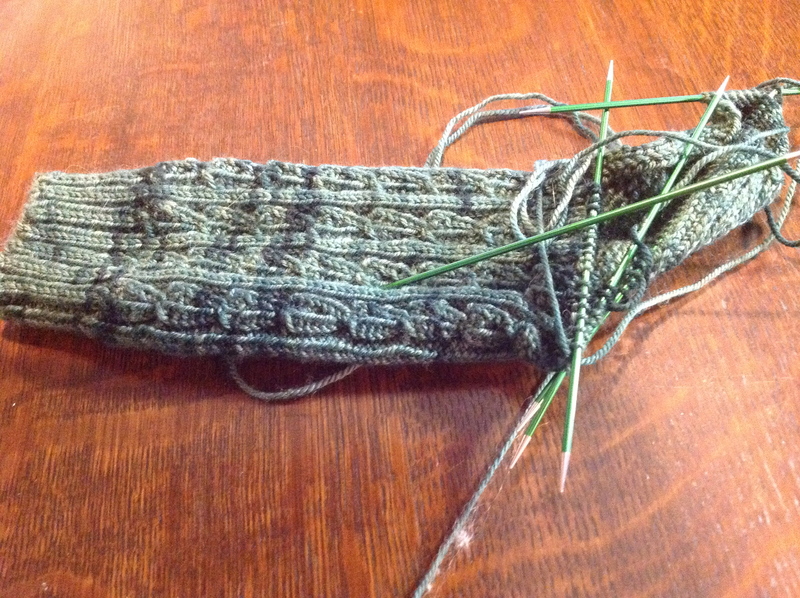 Currently I am working on the Ernie socks from the February installment. This is just sock #1, will be gifted to my favorite husband. I added the ribbing at the top, he would not like the faux cable sock pattern to just end at the cuff. I have finally turned the heel, and hope to finish these this weekend. Spinning seems to be taking an inordinate amount of my time lately, more on that tomorrow. 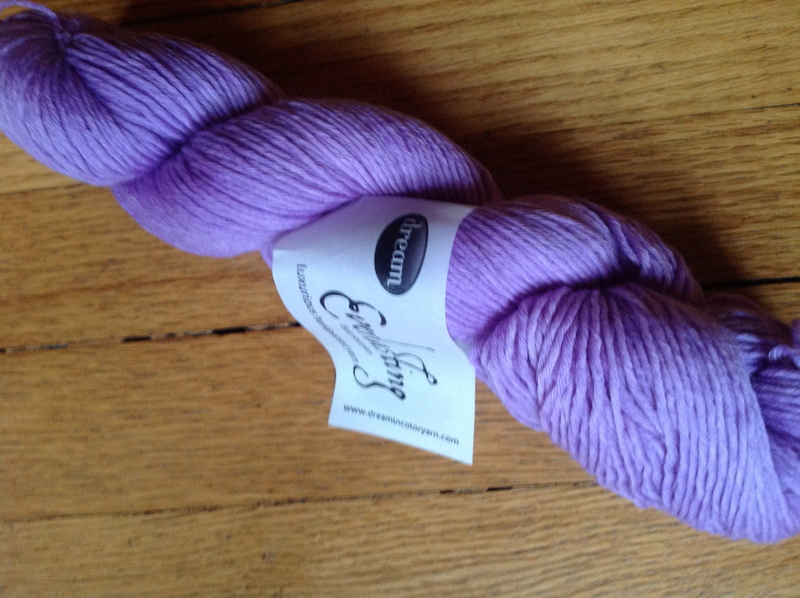 Then this lovely lavender from Dream in Color came the other day, the April club shipment, I think that these will be for me, love the color. I like your bag. It looks as if you’ve got a great start on the sock for your husband. Yay! Glad you liked it. Have you made socks with that DIC before? I am thinking about getting some for socks.